Whether you're writing a story, making crafts or coming up with a new business venture, a good idea can be hard to find. But with a little ambition, a dash of determination and a pinch of creativity, you'll be well on your way. 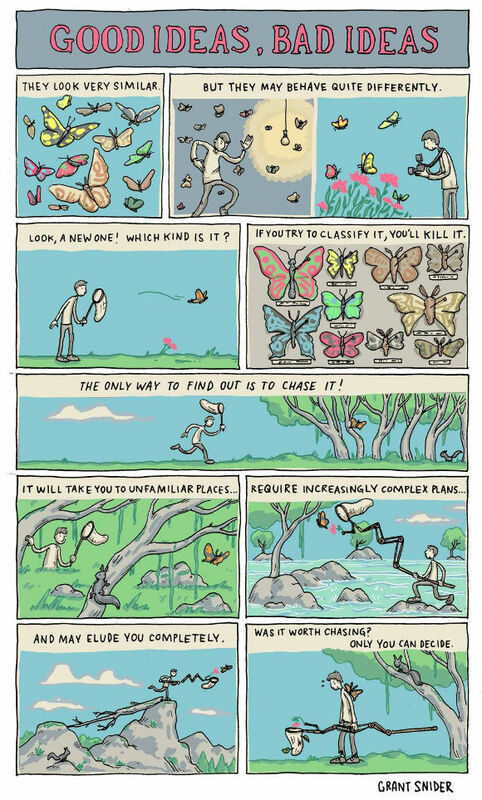 In this comic, Grant Snider of Incidental Comics shows us that there's only one way to find out if an idea is good or bad ; chase it.